This year marks my fourth year of blogging about books and I’m beginning the process of turning it into a business. However, there is a problem with this: money in the book blogging world can be a bit of a taboo subject. If you’ve been on Twitter in the past few days, you’ll have seen the conversations that us book bloggers have been having about being paid for promoting books – at the moment we get absolutely nothing in exchange for our hard work, time and huge promotion of book titles. Seriously – bloggers can make a difference between a title being a flop or a massive success. I’m one of the few lucky bloggers who have received payment off the back of my blog – through events. However, out of the four festivals or events I’ve spoken at, all of which have been ticketed events, I’ve received payment for only two. Not even expenses for the other two that included travel by train or car, plus the cost of car parking on top. The majority of other blogging categories – for example, lifestyle bloggers, beauty bloggers and fashion bloggers – are paid in exchange for featuring certain products or reviewing certain products on their websites or YouTube channels. Book bloggers? It’s pretty much unheard of. There has been debate over whether paid reviews are dishonest due to the nature of wanting to speak positively about something you’ve been paid to write about. But reviews make up only a small portion of the work that we do as bloggers. At the moment, if I was thinking about blogging full time, I wouldn’t even be able to cover the cost of website hosting – it’s not viable or sustainable. You do not have to pay for reviews; there are other content options too – featuring books in Instagram or Tumblr pictures, reading a book as part of a book club that you’ve set up, or creating a fun challenge video on YouTube, to name a few. The question I get most often from people when I tell them that I blog is: Do you get paid? They assume that I’m rolling in money because I live in a corner of the Internet; it’s such a common misconception that we receive payment for the hard work that we put in. Think about it: Would you turn up for work one day, work for five hours and then expect nothing in return? Not likely. So why should bloggers do the same? For many of us, this has become more than a hobby – it’s a lifestyle. This is pretty interesting and something I’ve thought about a lot, too. I’ve seen lot of tweets recently on this subject, and a lot of them were from book bloggers/Instagrammers shaming other’s who have received payments for reviews or features and that really threw me off. They were saying how gross it is that someone would make profits off of their passions. I say, why not do that? Why not turn what you love doing into a small business? Isn’t that what everyone wants, to get paid for doing what they’re passionate about? It’s harder to have this kind of thoughtful discussion while others in the same community are shaming those who accept payments. I have quite a big following on my Instagram account and, yeah, I’ve been paid to feature books before and I think it’s awesome. I’m a young university student, I have a very low paying job, and the fact that I can make money off of what I love doing is a really cool thing. I don’t make a ton and I don’t make money all the time–probably less than once a month I get a paid sponsored post. I don’t feel ashamed when I do one. 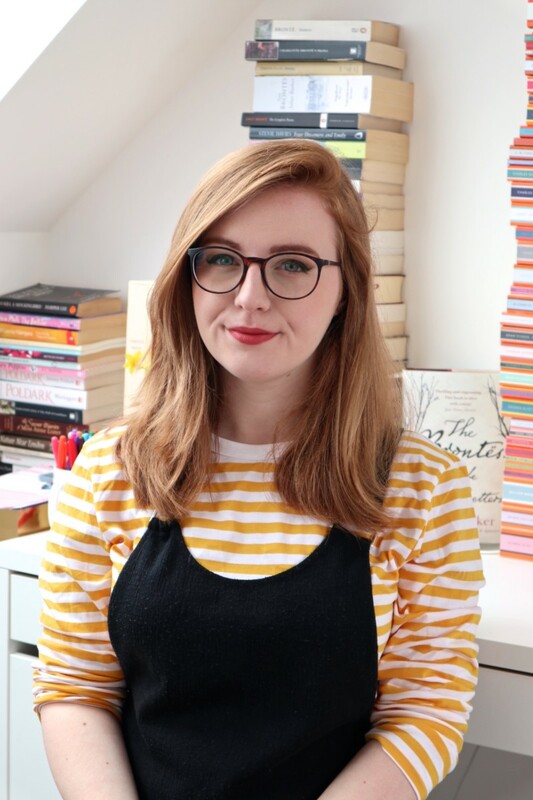 You’re right when you say lifestyle bloggers and fashion bloggers get paid for stuff all the time and no one bats an eye, but for some reason when book bloggers do it’s a horrible thing? I’ve gotten comments on my Insta posts from people who are mad that I get paid, or assume I’m getting paid for posts I do for free (because I do free features way more often than I do paid ones, even when I think I should be getting paid). I feel like book blogging is a weird gray area because most of what we do is based off of authenticity and pure opinion, and people probably feel like if a post was paid for then our opinions were paid for, too. Followers might think we’re losing our authenticity, which is not true at all. I just think it’s odd that people would get mad at someone for making money doing something they love. Maybe they’re bitter? Very interesting conversation, thanks for this post! I have a lot of (possibly rambling) thoughts on this. I disagree that being paid means your opinion can’t be honest. As you point out, people are paid to review things all the time. However, your point that being paid to do something OTHER than a review might be the future, if book bloggers ever do get paid. Authors get very disgruntled (at sites like Kirkus, for instance) when they pay and get a negative review. It’s understandable (Would you pay $100 or more for someone to insult your work?? ), but that’s also the nature of honest reviewing and the guidelines warn negative reviews are possible. I think the payment rate, then, gets very interesting. Personally, I would not want to promote a book I didn’t read and didn’t know I liked. So what am I getting paid for then? A rate that would compensate me for the HOURS it would take to read the book, or a rate that would compensate me for the 5 minutes it took to post a picture on Instagram? At any rate, I think what we would see is primarily TOP bloggers being paid, not all of us. The same goes for any field. Top athletes get paid, for instance, not everyone who plays the game. I think it’s a good goal because showing that blogging has value is important, but as a medium blogger I certainly wouldn’t expect to be the one offered payment. This is such a great piece. I’m Miss Dystopia, blogger of Delve into Dystopia (www.delveintodystopia.co.uk). 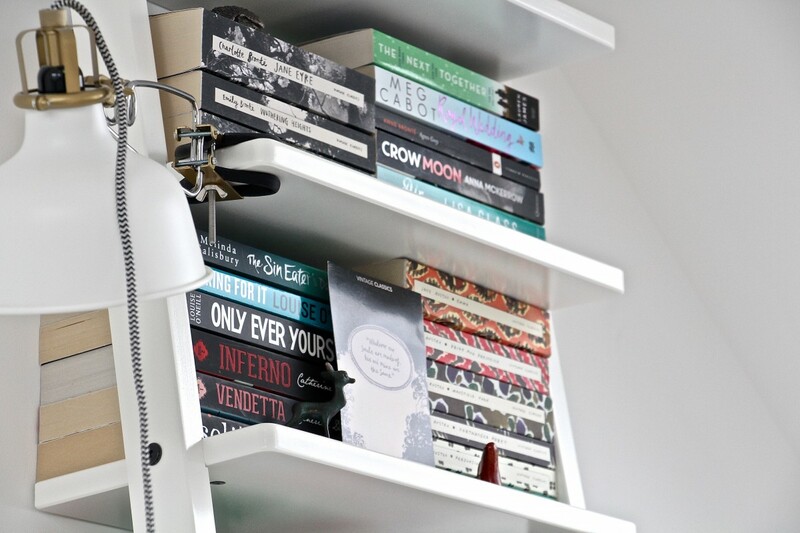 It’s so hard trying to create a website where bookworms cab retreat to whilst living our own lives – how are we meant to fit in blogging around school, home life, work and relaxation? Some people might argue that blogging is our choice to do it and that if it’s something you love then surely it is relaxing, but the reality is that there’s a lot of work, pressure, time and energy that goes into what we do, for not much of a payback (other than free books of corse – but that only gets you so far!). Would love some more recognition for what I do – I’m in my GCSE year like you, so trying to fit my blog in with everything else is exhausting and it’s frankly not possible for me to be able to do as much with it this year as I’d like to. Come the summer, I am hoping to be able to be a bigger part of the book community and grow my blog into something that people actually want to read (being dystopian focussed is amazing because they’re the books I love, but of course not everyone likes dystopian books!). Any advise or feedback would be amazing! Love the blog by the way – always get excited when I get an email saying that you’ve posted! Completely agree with you Lucy! When I was first started blogging, I assumed that eventually I would get paid and that top book bloggers *did* get paid because I knew that fashion bloggers /etc. got paid for their services. But like you just said above, most people don’t get paid or get paid very little. Also, weirdly enough this community isn’t all that supportive of people who get paid for doing reviews (or any other type of post) because everyone seems to think that getting paid will lead to dishonesty. I think if top bloggers started accepting payment for their services, it might catch on…but it seems unlikely because there are plenty of bloggers willing to review books for free (and do all kinds of other promo posts). This is such an interesting argument. I do think that part of the issue is also that when “bigger” book bloggers and booktubers out there do get paid to promote a book, most of them do seem to not give the book a bad review. While this could be a coincidence and they happen to love all the books they are promoting, it does make you wonder if their reviews are honest. On the other hand, I also think if the normal was simply “book bloggers and booktubers always get paid when promoting a book” people wouldn’t question it so much. It would just be the way things were. I think that we as book bloggers should indeed get paid. I have recently started paying for my own domain and hosting to take my blogging to the next level (I’ve only been blogging for 6 months hahah) and the money is my own money. My own student money. It’s just not fair to us as book bloggers. Especially when other blogging communities out there seem to get paid for their hard work. Would I accept money for reviews? Yes. Have I done so yet? No. I have been offered money for reviews in the past which I haven’t accepted. This is because in those particular cases the offer was along the lines of “we’ll pay you for a 5 star review” to which I obviously said no freaking way! I’m not against paid reviews as long as they are for honest opinions and people are open about the payment. I’m all for paid tweets, IG and hastags etc for book bloggers (again as long as people are honest about the payment). I have a full-time job and I’m a mature student as well as running my blog full-time too, so it would be nice to be rewarded for the vast amount of time and effort I spend promoting other people’s work, but it would be an added bonus as I do it for the love of reading and book. A key difference between book bloggers and lifestyle bloggers is that lots of publishers – including some of the big ones – are struggling financially due to falling sales etc and can’t afford to pay book bloggers the kind of money that lifestyle bloggers earn from promoting well-known cosmetic brands. I’ve never been offered payment for writing a post but receiving ARCs in exchange for honest reviews and attending events I would otherwise never have had the chance to go to have been excellent perks. Sometimes, I think it would be nice to be a full-time blogger and earn decent money from it, but where books are concerned, it’s just not possible at the moment. This is such an interesting topic, and something I’ve been thinking about a lot lately. In my opinion book bloggers should be paid, because as you say, lifestyle/fashion/beauty bloggers get paid for providing the same services in their fields. Most beauty blogs of a certain level of popularity have been paid for things (in fact from what I hear, even relatively small blogs can get paid work from smaller brands), yet absolutely huge book blogs can often never earn a penny, which in my opinion is just bizarre! I’d be all for book bloggers getting paid! Unfortunately though I don’t see it happening any time soon. Because it’s virtually unheard of in the book blogging world there is just too many people willing to do it for free for publishers to have any reason to decide to start paying bloggers. The only way I’ve made money through my blog is through my related Etsy shop, and I’m hoping to eventually use it as an example of my writing to get freelance writing work. Laura recently posted…How fast do you read? I completely agree! I don’t think that it’s unfair for book bloggers to get paid for talking about, promoting, reviewing a book I do, however, think it’s unfair that people think we’re asking for a lot. A lot of time and effort goes into each post that we write and the same goes for beauty bloggers, fashion bloggers, there’s no difference between the two so I don’t see why one gets paid and the other doesn’t. If I wanted to turn my blog into a career, that just wouldn’t be possible, the same goes for so many other people. This is a great post, but at the same time that it would be nice to get paid, we do get free books (which cost publishers a lot of money), and I love blogging no matter what. It does seem a little strange though that so many other people get paid for their reviews, and book bloggers can be forgotten. Thanks for the great discussion. I’m just a small blogger who started a few months ago so I’m not talking about my blog but in general. I discovered that blogging is a work, it takes so much time, ideas and different kinds of knowledge. If we are talking about reviews, just reading the book takes hours, plus the time it takes to do the review. We usually share that review on our blog/vlog,goodreads,amazon and other site and it’s a big help for authors. As you said, there are other types of things you can do to feature a book and definitely those take time too. So, I think book bloggers should be paid, I don’t see it as a bad thing at all. At the same time, I must say that sometimes we get free books of free book related stuff that usually we wouldn’t get them. I love blogging, and I love receiving books and I do it for free, as something I want to do. It’s great to do it anyway but it’d be nice that at some point of the journey you get paid.